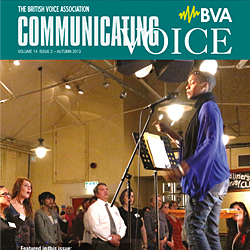 The British Voice Association is where I have met the practitioners that have inspired my work for the last decade. I have received invaluable training and even been able to collaborate with some of my heroes. 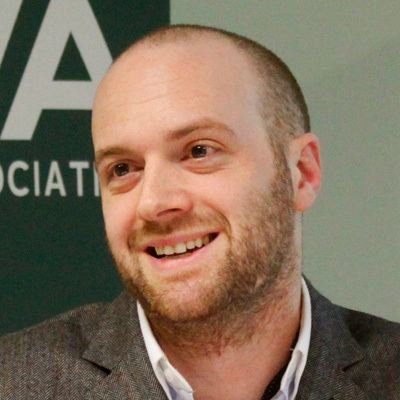 The Association organises and promotes a regular programme of multi-disciplinary events, conferences, workshops, training courses and interactive study days throughout the UK. 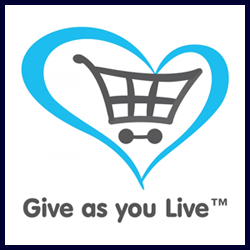 Courtesy of a reciprocal agreement, British Voice Association (BVA) and Australian Voice Association (AVA) members can attend each organisation's events at the member's rate. Please contact your association office for more information. 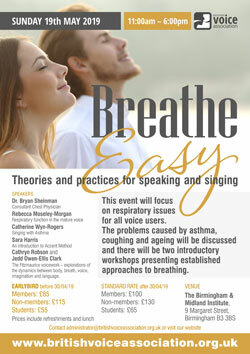 This event will focus on respiratory issues for all voice users. The problems caused by asthma, coughing and ageing will be discussed. The day will include two introductory workshops on two different approaches to breathing, The Accent Method and The Fitzmaurice Voicework. Cathryn Robson and Jedd Owen-Ellis Clark: The Fitzmaurice Voicework – explorations of the dynamics between body, breath, voice, imagination and language. 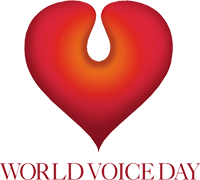 World Voice Day is celebrated annually on 16th April. The idea began in Brazil and then spread to the USA. The idea is to celebrate healthy voices and highlight the importance of voice at work and in society. Hormones are crucial to our wellbeing. They control our moods and metabolism, our growth and sexual function. They are also incredibly important to our voice. 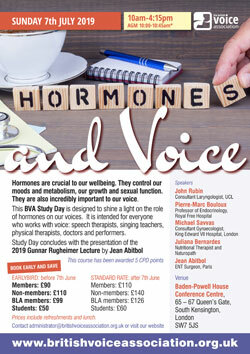 This BVA Study Day is designed to shine a light on the role of hormones on our voices. 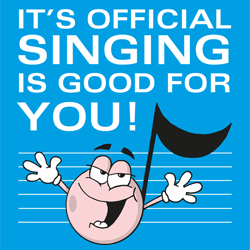 It is intended for everyone who works with voice: speech therapists, singing teachers, physical therapists, doctors and performers. Study Day concludes with the presentation of the 2019 Gunnar Rugheimer Lecture by Jean Abitbol. Should the BVA cancel a course, a full refund will be offered.